APB Reloaded is now taking applications for its closed beta test, but be warned: the sign-up process is easy now but gets tricky later. APB, as you may recall, was an unmitigated disaster, shutting down less than three months after it launched in June 2010 and sucking developer Realtime Worlds down into the crapper of oblivion with it. But that wasn't the end of the story; after its failure, the rights to the game were picked up by free-to-play MMO publisher GamersFirst, which announced earlier this month that a closed beta test for a reworked version of the game, APB Reloaded, would begin in February. It's not quite ready yet but GamersFirst is now taking applications from gamers interested in giving it a try. The process at this point is quite simple; go to www.gamersfirst.com/apb and submit your email address in the "stay up to date" box, then create a GamersFirst account. (You can probably create the account first, if that's how you roll.) But after that, things get a little trickier. A couple of weeks before the test begins, GamersFirst will send out emails to applicants with a link to activate beta accounts. Those who want to take part will have to submit "a lot of additional data, among other things your DxDiag (if you don't know that is, then you might not be a great closed beta candidate) and some additional information about you, as well as about your system and your own background as a gamer." Once that's verified, a closed beta key will be sent out. GamersFirst says it has received about 20,000 registrations so far and expects that 10 to 20 percent of sign-ups will actually meet the requirements to get in. The goal is 6000 to 8000 players for the closed beta, so there's still plenty of opportunity for those who want to take part. For those who don't make it or just don't feel like horsing around with all the extra work, an open beta phase is also planned, although there was nothing said about when that will take place. 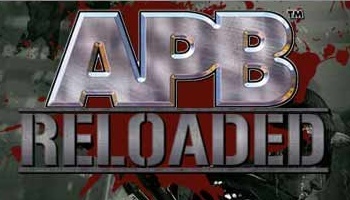 For more information about the coming beta test, check out the APB Reloaded blog. APB Reloaded is currently targeted for launch in the first half of 2011.